At Alliance Bail Bonds we take pride in providing the most friendly, efficient and professional service in Phoenix, Arizona. From Glendale or Surprise to Scottsdale, Mesa, Tempe or Gilbert, Alliance Bail Bonds will take care of you. The proof is in the comments we receive from our clients. Let us handle all your bail bond needs and we are confident your will feel the same as all our other clients. I will recommend Alliance to anyone that needs a good bail bonds company, they live up to their word! This was our first (and hopefully last) experience in posting bail for a loved one. We received our refund check today. Thank you so very much to Gary Dunham for all the help he provided. Whenever we had a question or concern, Gary was always just a phone call away. He was patient with us, knew the ins and outs of the process well and kept us sane throughout the ordeal. I would certainly recommend Alliance Bail Bonds to others. Gary was honest, straight-forward and went beyond the extra mile for us. Gary, I just wanted to say thank you for helping us out with my brother’s most unfortunate situation. Your professionalism and quick service helped easy the stress we felt of this terrible event. I would highly recommend Alliance Bail Bonds to all those in need of a bondsman. Gary, thank you! I received your check today and the information that the bond was exonerated. Thank you for all your help with my son’s release and the advise you gave to him. I would definitely recommend you to anyone needing these services. No mother ever likes to get these calls, but with just one phone call to you, you took care of everything and relieved some of the stress. Thanx for your great service. Not many other companies that I contacted were willing to assist me in cash bonds or without collateral, When I called your company I spoke to Keith who was prompt in assisting me with obtaining a cash bond. He was, professional and personable. Both Keith & Gary were prompt in answering my phone calls and returning phone calls quickly. I hope I will never have to go thru this again but should it happen you can bet that they will be the first and ONLY bailsbond I will contact! Being on the East Coast and an elderly senior citizen not able to come to AZ, it was particularly valuable to deal with someone so helpful and considerate. Thank you again for your quick and thoughtful actions. Mr Dunham, I wanted to send you a note to thank you for all your help. When my brother was arrested in AZ and I found out that his bail was 5K, I was at a loss for what to do. My other brother found you guys through an internet search and I was able to talk to you and get the wheels in motion all the way from Seattle. It was after 6pm by the time I left work and had to go fax all the paperwork to AZ. I could not believe it when my brother called before 10pm the same day to say that he is out. Now, that he has been sentenced, I did not even have to call you about the 5k, I just opened my mailbox today to find the check for the full amount. Thank you so much for making this process so simple for me especially since I am not even in the same state. My son got himself into an unfortunate legal situation and called me from the Gilbert Jail located just outside of Phoenix. I live in Los Angeles and there was no way I could get to the Phoenix area to bail my son out in time for him to get to work the next morning. In this economic climate missing work from a situation like this could spell disaster so I made some phone calls it was recommended that “Gary” at Alliance Bail Bonds might be able to help us out. I talked to Gary and he was very understanding of my sons’ predicament and agreed to do his best to get my son out of jail and back to work on time. Gary preformed a miracle for us that day as unknowingly while I talked to Gary on the phone my son was being transferred to another jail. To make a long story short, Gary found my son, got him released from jail and back to work just in the nick of time! Gary and Alliance Bail Bonds saved the day for my son and I am most grateful for his most kind and professional service. As a dad, I can’t thank him enough. Mr Dunham, We are grateful to you in the recent Bail Case involving our son…..your caring attitude and help toward us in the matter was overwhelming! Thank you so much and God Bless You. Recently, I have had the distinct pleasure of meeting and working with Mr. Keith Gibson of Alliance Bail Bonds in Mesa, Arizona. With incredible ingenuity and perseverance, Mr. Gibson and his colleagues were able to help me retrieve my assets in record time and with minimal hassle. Mr. Gibson went above and beyond to help me out – so much so that I don’t have the words to express my gratitude. He is a no-nonsense, consummate professional who is both honorable and considerate during some very trying and stressful circumstances. Mr. Gibson is a tremendous asset to Alliance Bail Bonds and I would like to take this opportunity without reservation to recommend both him and his company for any kind of bail/bond/asset recovery work in the Phoenix metropolitan area. Very efficient, easy to work with and get in contact with. Monies returned promptly once exhonerated. 5 STARS! I searched for a bail bonds company that had some semblance of professionalism but was not able to find one until I called Mr. Dunham at Alliance. They were professional throughout the process and made sure that I knew how the process worked. Once complete, the monies I paid for the bond were promptly refunded. Thank you! Recently I contacted Alliance Bail Bonds and spoke to Gary Dunham requesting he assist me in getting a bail bond posted for someone arrested and taken to the Tempe, AZ local jail. Gary was very prompt and made all the difference in the world in how he handled my request by getting bail posted for someone in short order. He took the worry out of the situation for me and once the person was exonerated, he made sure he sent my funds back to me immediately! I am so pleased and impressed by his excellent service and I would recommend Gary and Alliance to anyone who needs bail bonds assistance. His service is unrivaled! I would like to thank you for your professional and expedient service. Considering I was over 1000 miles away in trying to deal with a matter in your vicinity, you attended to my needs in a timely manner, much to the satisfaction of all parties involved. When my situation arose I made over 15 phone calls to bail bondsmen in the Phoenix, Tempe, Mesa, etc. area. I was told they could not assist me, or when I left voice messages no calls were returned. When I contacted you there was no hesitation to assist me. A need for your service is generally not a good thing. But if I was asked to recommend a bail bondsman, it would surely be you. Thanks, your help was greatly appreciated. We would like to say we were satisfied with the service provided by Alliance. Gary Dunham was informative from the beginning and he was easy to contact and was pleasant to work with via the phone. I would give him a “thank you” for the good service. Help and Guidance During Our Ordeal! This was my first encounter with a Bail Bondsman, … you were very helpful guiding me, and my daughter, through the ordeal and should an occasion ever occur to recommend you to future prospective clients I would not hesitate in doing so. Professional Bail Bonds – Distance No Problem! Gary, I just wanted to say thank you for your help, your company was very professional throughout this whole ordeal. You answered all my questions every time I called. It is tough when you’re in MA and you’re dealing with a problem in AZ, again my wife and I thank you for all your help. Thank you very much for your services. I found your company to be very professional and above all, timely. As you know these types of situations happen out of the blue and can be stressful. Within hours it seemed your packet was in the mail to be signed and notarized. Once it was returned, it was just a matter of a few days and we have already been reimbursed. You made what is usually an unpleasant experience very positive. Thank you! Just a quick thanks for all your courteous, prompt help. You made the whole process so smooth and easy, offered great advice, and were a pleasure to work with in a not so pleasant time. Would recommend you to anyone, and God forbid, if I need your services again…you will be the first I call. Thanks again for your professional, caring attitude…that means a lot…you rock dude! Thanks for all your help in bonding my daughter out of jail so quickly. You were so professional and answered all our questions courteously. It was an easy process all the way from beginning to end. Even when we decided to revoke bond, the paperwork was done immediately, which took a load of worry off my mind. Thanks again for your help. My name is Sara and I’m 19 years old. I was charged with burglary and when I went to my initial appearance the Judge unexpectedly set an $1,800 bond and took me to jail. I was 8 months pregnant at the time. Alliance Bail Bonds was great. They got me out quickly. I was released within 12 hours. And they even put a couple dollars on my books so that when I was released I could call my family to come pick me up, so I wouldn’t be stranded outside the jail. They worked with me when I got out so I was able to use my car as collateral on the bond and still drive it. I only had to check in by phone a couple times a week and stop by their office every once in awhile. My family and I were under enough stress dealing with the case, and it was nice to have a bond company that didn’t add any extra stress. They treated us like their own family through the entire case. They even met my new little girl! I’ve never met more outgoing and helpful people. In an Emergency – They Were There! I would like to take this time to thank Gary at Alliance Bail Bonds. Here about 8 months ago, there became a problem in our family that required the need of a Bail Bonds service. We admit we tried calling one more bail bonds service besides Alliance Bail Bonds and let me tell you I was shocked at the answer yes we can help you but……. we knew then that this one was not going to work. So we called Alliance Bail Bonds and talked to Gary. We explained the situation we were in and how it was an emergency that we needed his services and he was right on it. Told us to come on up and it was late in the evening as well, but Gary was so nice and took care of us and worked till in the morning hours getting our problem solved with our family member. Gary and his office I have to say was very understanding and very easy to talk to. He treated us as family not as a client. This in return took the stress off of us knowing that Gary and his staff care about their clients. 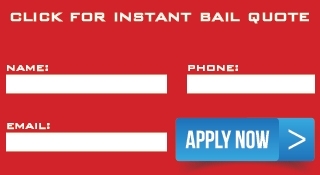 I would HIGHLY HIGHLY recommend this company if you are in need of a Bail Bonds Service. I have recommended Gary and his company to everyone I know, just in case in the future they need this service. We will definitely use Alliance Bail Bonds again in the future when the need is required. Thanks Gary for all you did for our family, especially in your trying situation with your mom passing away. Words cannot express how we feel about you and your company. Many Thanks and God Bless you. You Were the Best Bonding Choice! I just want to Thank Gary, F. Dunham Jr. for services rendered through the process of getting my brother, Charles M. Bond, out of jail. Your agency was not the first choice that night, however you were the BEST Choice. The first people pretended that they were going to assist us but failed to communicate with us that night. For someone like my mother and I who had never had any dealings with bailing someone out of jail at that terribly high price, was an eye opening experience that we had absolutely no knowledge of weaving our way through. Gary was so patient as we went through the credit card process, and he talked us through what we should do. We called each other from Indiana to Arizona at least 15 times that night. Gary was GREAT! I just want to thank you. The kind of service you gave was Outstanding and greatly appreciated. I hope that we never need your services again, but I am so pleased to know who to call if I do. “I definitely would use this company again if the need arose. When I needed help, they were there – just as promised. They even picked up my spouse from the jail when he was released and brought him to our hotel! I was from out of town and not sure who to use. If this ever happens to you – Use Alliance!! – you won’t be sorry! I recently ran into a situation that put me in jail. This was for a crime that I did not commit and had already faced charges previously. To my surprise, police showed up at my house late on a Friday night and arrested me. I was able to call Gary @ Alliance Bail Bonds and he was able to bail me out within a couple of hours. He also drove me home and offered some good advise. I really appreciate the service of Alliance Bail Bonds and would recommend them to anyone that may need their services. Reliable and caring family man, Highly recommended. Thanks Gary for all that you have done for my family. I live in Connecticut and my son needed to be bonded out. Gary was right on it. He was able to get me info on my son that I was unable to get. Arizona is a big state and they have lots of jails, he directed me on who, what, where, and how to get him out and what I needed to do. He always answered the phone when I called, and believe me I called him approx. 5 to 10 times daily. I was lost and didn’t know the laws there. When my son was out on bond he would just call me to say hi and re-ensure me everything was going well. I to this day, two months later, still talk to Gary. If I ever go to Arizona, I will go meet the man who made my life easier. Please take it from me, don’t think twice, go with Alliance Bail Bonds, you won’t go wrong. He will get you through the bad times.